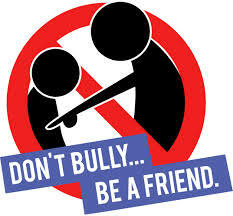 Adults must teach children how to deal with bullying, as well as coping techniques so they don’t do it to others. Parents can help protect their children by teaching them empathy and by working with schools and the wider community to create a culture that rejects bullying and promotes inclusiveness, Vineis said. NewBridge has been providing anti-bullying and related programs in schools for decades, and Vineis said the demand for them is increasing. One of the most important approaches for schools is to implement rules that delineate acts of bullying and make clear the consequences of those acts. The growth of social media websites and software applications has contributed to cyberbullying. Vineis suggested that parents ask schools to provide seminars on the latest apps that are being used in bullying. Beyond bullying, NewBridge provides in-school programs on: positive coping skills;respect/tolerance/diversity; conflict resolution; drug/alcohol resistance (including Fatal Vision goggles); and suicide prevention.